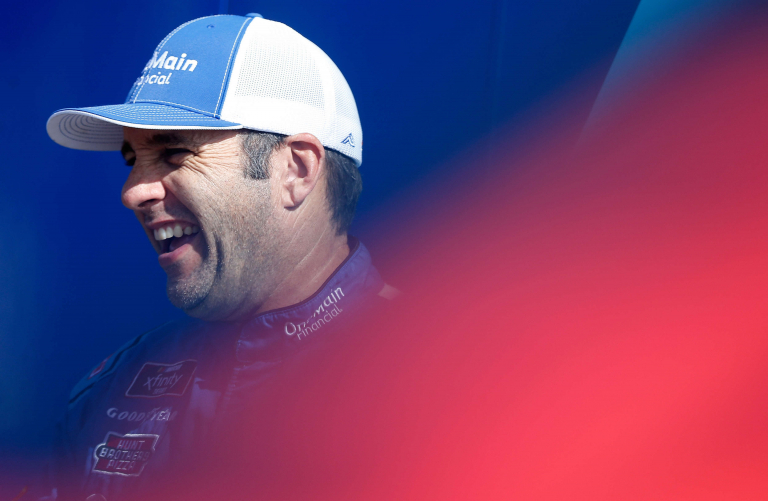 Elliott Sadler is set to run his 395th NASCAR Xfinity Series race. That will add to his 438 in the Monster Energy NASCAR Cup Series and another 20 in the NASCAR Truck Series. After 853 races, the now JR Motorsports driver Sadler will retire from his full-time NASCAR career. This weekend, Homestead-Miami Speedway has a ‘Thanks Elliott’ sign at the track. Unfortunately, even a driver with sign had issues getting by security. Sadler showed up to the security gate without his parking pass. The officials wanted him to leave his vehicle and ride the tram to the bus area, where his parking pass was. Security then wanted him to come back out, with the proper pass and take his vehicle into the area. Sadler did not want to do that. Sadler offered the security team to ride with him to his bus where he could get his parking pass. He explained that he would then bring the security team back out. “This place has always been tough with their security. I remember Kasey Kahne’s incident here a couple years ago,” Elliott Sadler opened in the Homestead-Miami Speedway media center. Wayne Auton is the NASCAR Xfinity Series director. “I was not disrespectful, I didn’t cuss at anybody. But, they would not let me in for awhile. The reason was, I didn’t have the right parking credentials. I just landed in a plane, my parking credentials are at the bus. “I’m like, ‘I’m not riding a tweak-trolly — You know, that damn thing,” Sadler said with a laugh as he was worked up and stumbled over the word trolly. The press conference continued for another 20 minutes. On the conclusion, Elliott Sadler and the track president of Homestead-Miami Speedway got into a shouting match in the media center.